As the first cohort of Massey University’s highly-successful Pūhoro STEM Academy look forward to entering the tertiary sector from the end of the year, programme director Naomi Manu, Rangitane ki Wairarapa/Ngāti Kahungunu ki Wairoa, is one step ahead of them. 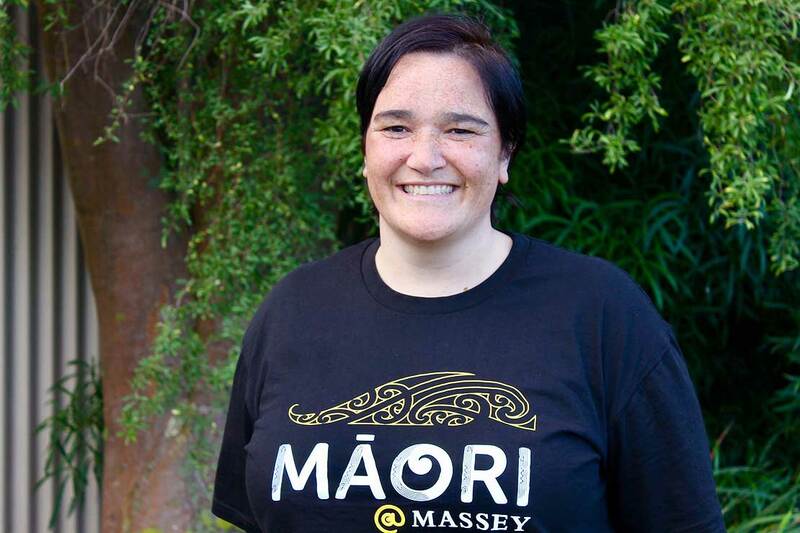 Ms Manu has been appointed the director of Māori student success, a role that will see her working to ensure all Māori students have the best possible experience and academic outcomes at Massey University. Tackling challenges head-on is nothing new for Ms Manu. Only four weeks after joining the University in 2015, she pitched the idea of a science, technology, engineering and mathematics (STEM) academy for Māori secondary pupils to provide a long-term skills pipeline from secondary school, through tertiary and into employment. “I had always been passionate about STEM education and very passionate about the fact that we need a deliberate strategy around how we improve that for our rangatahi Māori, so I figured I’m at Massey, we have resources that can support the secondary sector to improve that pipeline and we just built it from there,” Ms Manu says. Through weekly tutoring, intensive workshops with Massey’s College of Sciences and exposure to science in industry and employment, the results have been remarkable. Pūhoro has seen NCEA pass rates that equal or exceed non-Māori rates, completely changing the trajectory of its pupils’ lives. “For example, we’ve got one girl who had no idea how passionate she was about the environment and from a kaupapa Māori perspective around kaitiakitanga. She didn’t know anything about that before Pūhoro and now she is going to do an environmental science degree. What we’re doing right here and now is going to disrupt their lives in a really positive way – not just for them, but their families and eventually across the sector and their iwi." Ms Manu credits having the right people involved at the right time and getting Our Land and Water National Science Challenge and Te Puni Kōkiri on board as major sponsors as key to getting the programme off the ground; but funding is still a problem and Pūhoro is not yet financially sustainable. “We turn people away twice a week because we just can’t afford to have more people in. Her mission to make Pūhoro financial sustainable and accessible will see Ms Manu hold onto overall responsibility for Pūhoro, even as she takes on oversight of Te Rau Tauawhi Māori Student Centre within the University’s Office of the Assistant Vice-Chancellor Māori and Pasifika, along with broader student success strategies.